Madeleines — always with butter. The weather has changed now drastically. Its hot when I wake up. The last thing I want to do is turn on my oven. But this weekend I made Madeleine batter, with every intention of baking it off that day. Then Netflix became a possibility and the rest of the day was shot. I wasn't going to move. Since my blogging is always slacking and I just seem to not be bothered to do anything lately, I knew I had to actually make these little french cookies and photograph them. It had been too long. I miss the motivation I used to have for photos. Now I just get all ADD and cannot settle on a recipe, ingredient, prop, anything. I get overwhelmed and end up doing nothing instead of just making a decision on one. So I post nothing so I don't fail at something but that's really just failing itself because I did nothing. Not a very positive circle. So finally doing some type of photo, just a simple post, was good. I miss the countless hours I would spend editing photos, looking at every single one of the hundreds of fonts I have, trying to find the perfect one. Plus I got to eat. Which makes everything better. Not a cake, not a cookie little dollops of goodness. 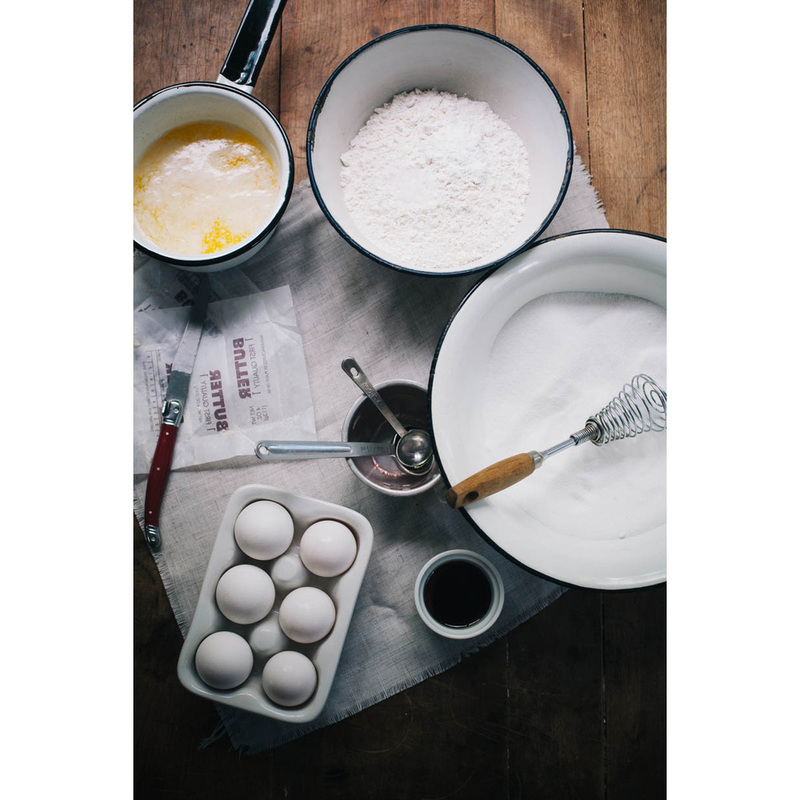 Whisk together flour, baking powder and salt in a medium bowl. Set aside. Whisk together eggs and sugar in a stand mixer until pale and fluffy, about 10 minutes. Sift flour mixture over top in 2 additions, folding in after each addition. Fold in melted butter in 2 additions, then maple syrup and vanilla. Cover and chill for at least 2 hours. Oven 350F. Let batter stand at room temperature for 10 minutes. Grease either a standard size or mini madeleine pan. Transfer batter to a pastry bag, and snip tip to create a 1/2-inch opening. Pipe some batter into molds, filling each about three-quarters full. 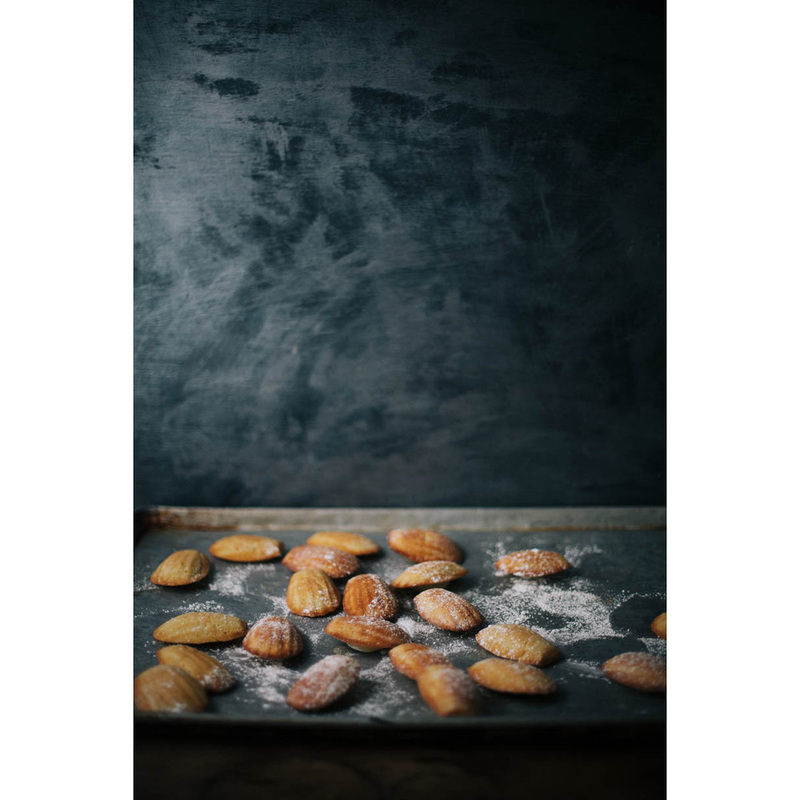 Bake until pale gold, 10-12 minutes (6 to 8 minutes for mini madeleines). Immediately shake madeleines out. Wash and grease molds. Repeat with remaining batter. 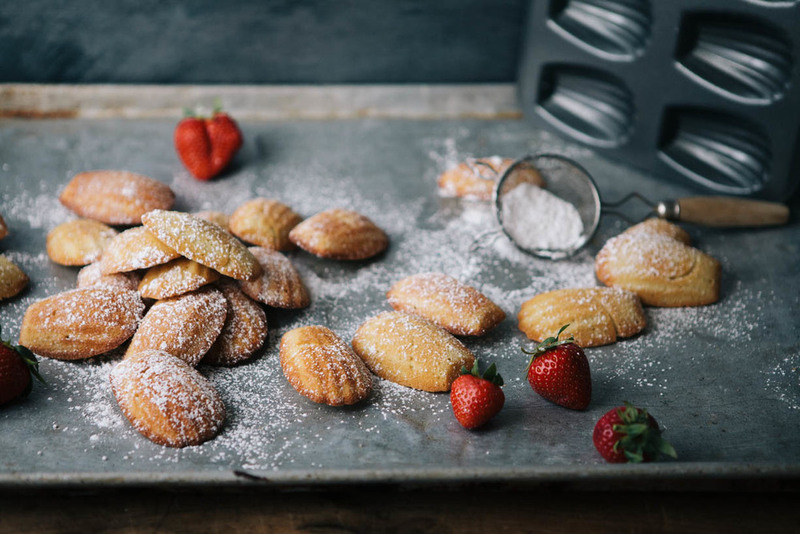 Dust baked madeleines with powdered sugar. Gabrielle Ciceri: I love the new design for the blog, it is seriously gorgeous. And I understand what you mean about lack of blog direction or inspiration. I lived in Paris this summer and everything snowballed, first a week without posting and then a month, and now it is heard to get back on track. This recipe looks amazing and even if you had trouble taking the pictures, they are beautiful! Sabrina Sue Daniels: Hi Julie, I really love the new design of your blog. It's so clean and straight now. Beautiful!!! You're pictures are like always awesome;-) Where did you get this beautiful porcelain egg carton from?? ?